Combine all the ingredients in a food processor. Puree until smooth and creamy. Add ¼ cup reserved bean liquid slowly until desired consistency. Warm water can be substituted as well. Transfer to a serving bowl and garnish with cilantro and sour cream. Serve with tortilla chips and veggies. This entry was posted in appetizers and dips, healthy options, mexican and tex mex recipes and tagged appetziers, bean dip, black bean dip, black bean dip recipes, dips, football food, football recipes, game day, smokey black bean dip, spicy black bean dip, super bowl. Bookmark the permalink. 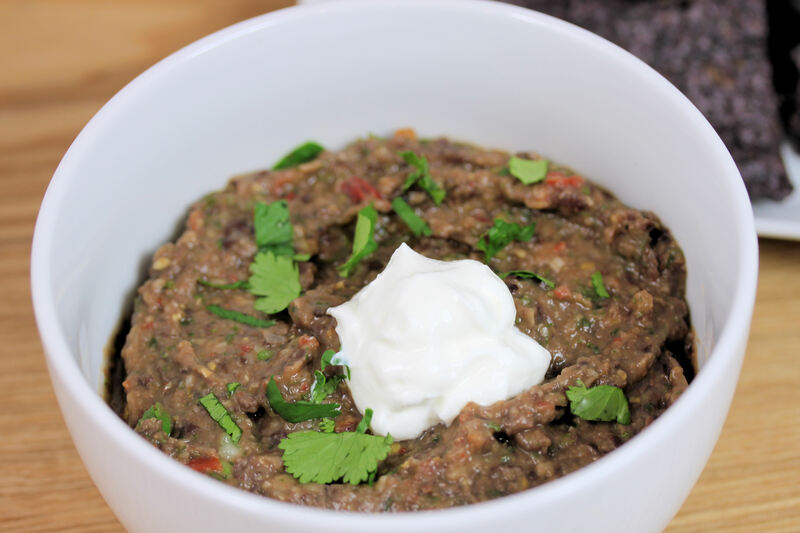 This is a great black bean dip. I will try to make it soon… !